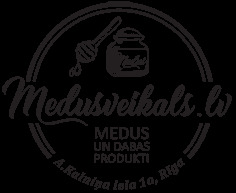 Ingredients: propolis extraxt, sea buckthorn oil, beeswax, olive oil. Effects: antiviral, antibacterial, protective layer forming. 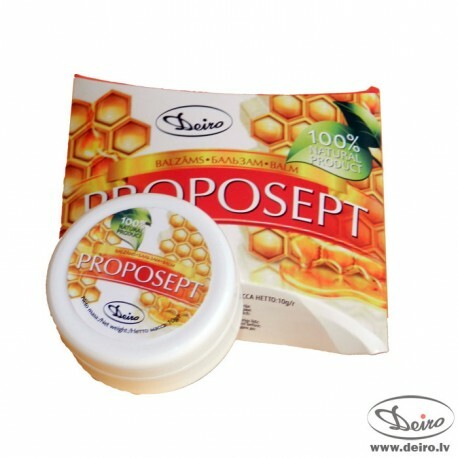 Proposept possess antibacterial, antiseptic, anti-inflammatory, anti-viral (especially herpes) and local anesthetic, which promotes epithelization of damaged tissue. Softens tissues, promotes epithelization without scab formation. 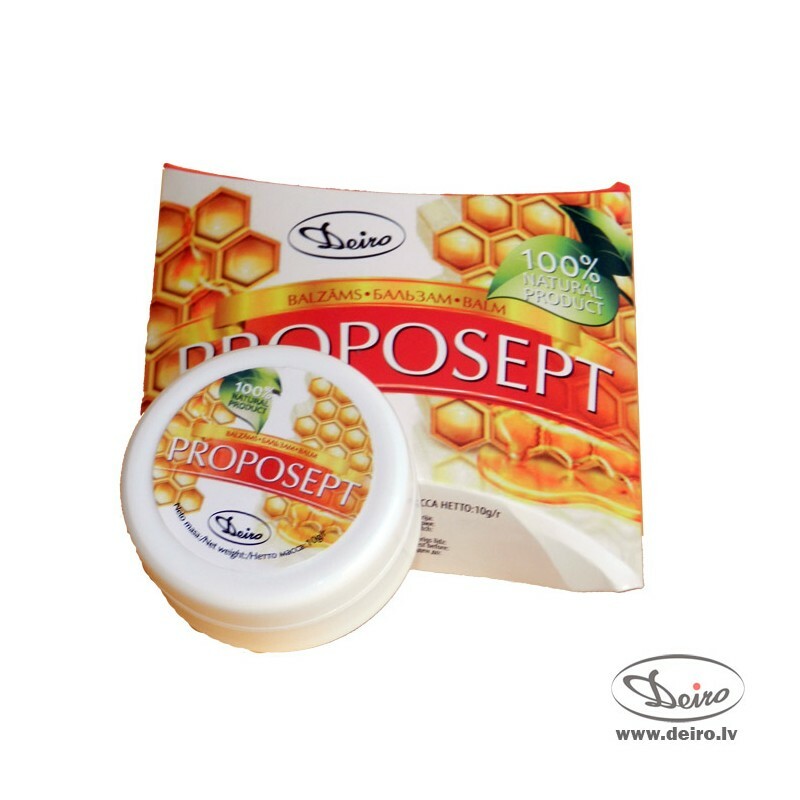 Beeswax helps forming a protective layer on the lips that works against harmful environmental effects by reducing the irritating effect on the lips. Recommended use: as lip balm for preventive and curative purposes, using every 6 hours or as needed. Storage: room temperature. Keep away from children.